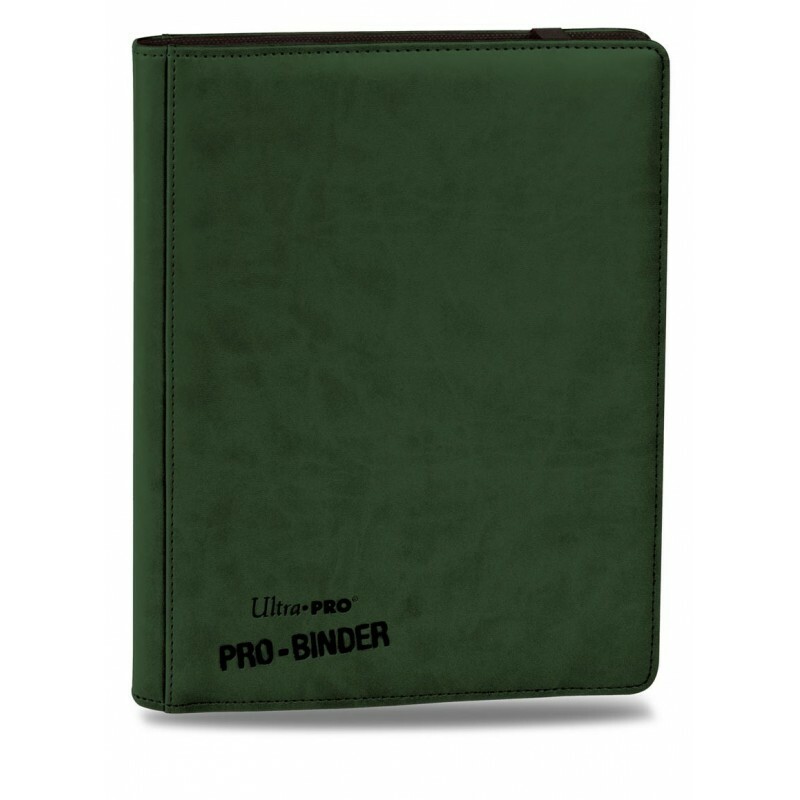 9-pocket Premium PRO-Binder with debossed Ultra PRO logo. 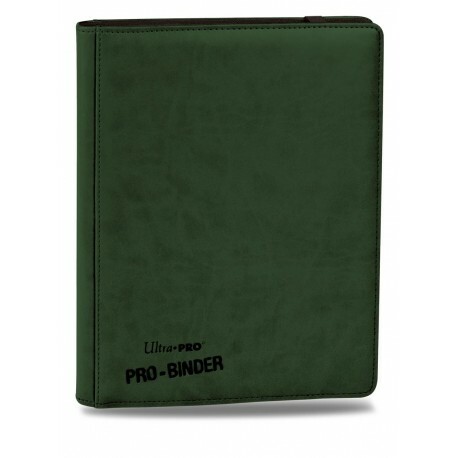 Cover is designed with padded leatherette look. Black web material gives cards a classic framed look and is embossed for easy slide-in of cards. Side loading pocket design to prevent cards from easily falling out. Elastic strap holds the binder shut when not in use.